The Department of Health and Human Services created an agencywide Integrated Project Team to meet the criteria outlined in the Federal Information Technology Acquisition Reform Act. The IPT consists of agency senior officials and program managers. 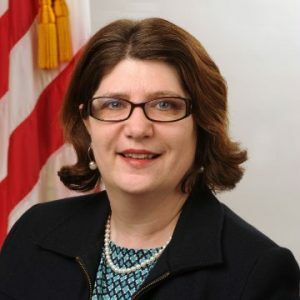 According to Beth Anne Killoran, deputy assistant secretary for Information Technology and chief information officer, the team has reviewed and improved HHS’s IT programs over the last several months. “We looked at our governance and IT investment management policies and processes and made improvements to our existing policies and procedures,” Killoran said in an exclusive conversation with MeriTalk. “We are working hard to improve our scorecard grade by thoroughly reviewing our FITARA implementation milestones and our reporting processes,” said Beth Anne Killoran. One of the four criteria on the FITARA scorecard is “Federal data center consolidation.” Agencies are evaluated based on how many data centers they have shut down. HHS received an F in this area on the last scorecard. To redress this failing grade, Killoran said her team has engaged HHS’s Data Center Optimization Initiative plan. HHS’s overall FITARA score has hovered at a D since the scorecard’s inception. The agency received a D on both the October 2015 and May 2016 cards. On the most recent scorecard, issued Dec. 6, the agency’s score slipped to a D-minus. The next scorecard is due out in late May or June. Killoran said she and her team homed in on IT governance policies and procedures during the first year of FITARA, and their focus has shifted to cost savings and cost avoidance for the next grading period. Specifically, the IPT is identifying opportunities for cost savings through enterprise licensing and streamlining processes. HHS is not the first agency to create an inter-departmental FITARA team; the Department of Agriculture has a FITARA-focused group within the office of the chief information officer. Flip Anderson, acting executive director of FITARA for USDA, created his own scorecard to gauge how closely the agency complies with the act’s mandates. In an interview with MeriTalk in July, Anderson said he was frustrated with the FITARA grading system. He releases his USDA-specific scorecard every quarter, and will continue to do so until the FITARA scorecard more accurately reflects the act’s core issues, such as privacy, cybersecurity, and open data set availability. Killoran said the success of FITARA hinges on more than the efforts of just HHS’s CIO office. She said collaboration with the chief financial officer, the chief human capital officer, and program executives will help the agency’s FITARA performance. “Our relationship and coordination with my colleagues at HHS strengthened since FITARA was passed, allowing us to execute our FITARA Implementation Plan,” Killoran said.